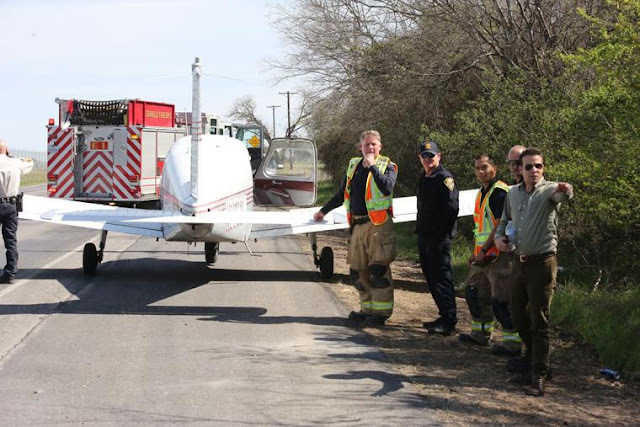 Made emergency landing on a highway. A Helotes man was attempting a required cross-country trip when his only engine went out on his flight school rented plane and he was forced to land in the middle of Highway 27 as he attempted to reach the Kerrville Municipal Airport. 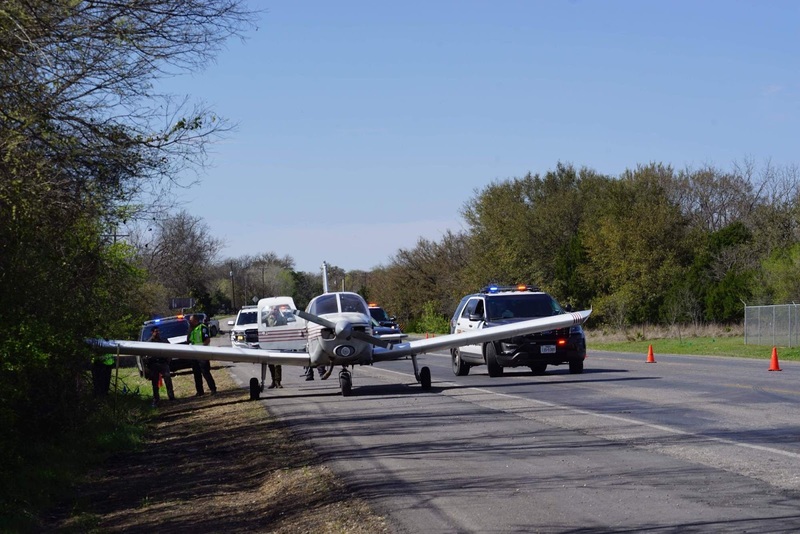 Strikos said he took off from Boerne Stage Airfield en route to Junction. 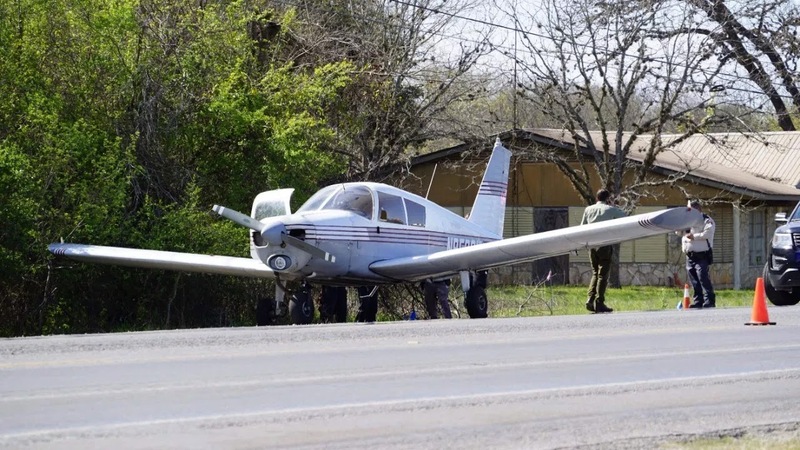 Instead, Strikos was forced to land without power about 300 feet from the Kerrville Municipal Airport runway in the middle of the highway. 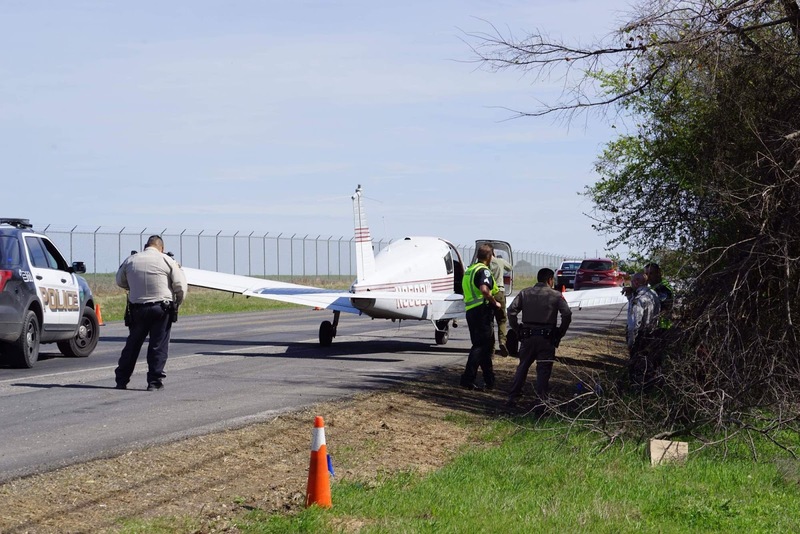 Strikos said he was looking for a place to land when realized he was not going to make it over the fence and in to the airfield. “I saw the cars and as soon as they saw me coming in, they moved to the side and I had a clear path to land,” Strikos said. According to Strikos, he was approximately four miles west from Kerrville when he was forced to make the turn, traveling without power the entire way. 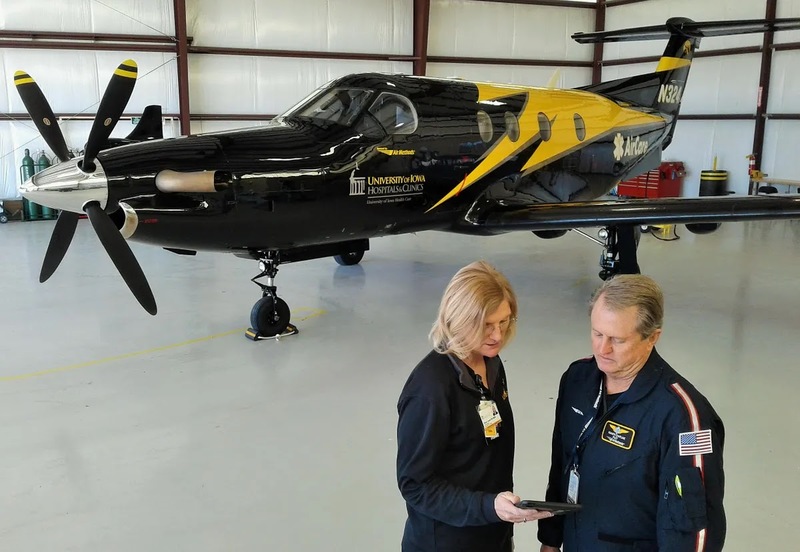 Strikos said he has been flying on an off for about eight years. “I’m actually on my first cross-country solo in order to get my license,” Strikos said. 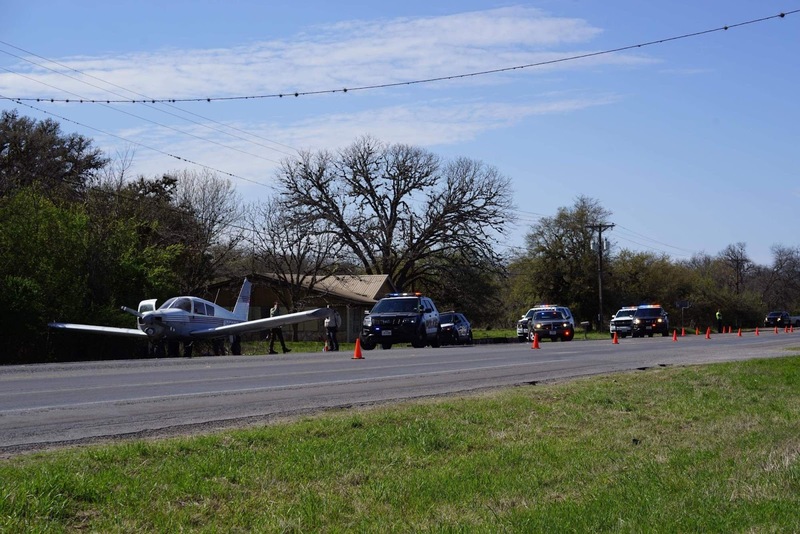 The Kerrville Fire Department, Kerr County Sheriff’s office, Kerrville Police Department and Texas Department of Public Safety responded to the scene of the accident, where no injuries were reported. 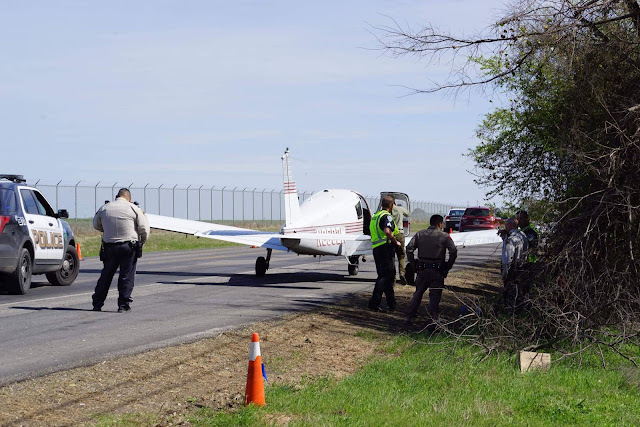 Officers remained on the scene directing traffic, while officials with the Federal Aviation Administration were expected to arrive and conduct and investigation. KERRVILLE – A plane has made an emergency landing on Highway 27 across from the Kerrville Municipal Airport in Kerrville at around 3:45 p.m. after having fuel problems, according to authorities who responded to the scene. Traffic has been slowed down on Highway 27 near the airport while first responders work the scene. A heck of a job by a Student. Interesting series that led to the Engine Out. Would like to see the fuel switch position. None the less, nice landing. Somewhere in my 5000 hours in light airplanes, I learned to be afraid of fuel selectors. Or at least to recognize them as dangerous enough to kill the engine. They are almost always down where you can't see them easily, and if you don't get it into the detent just right the valve can stop the flow of fuel. I never switch tanks unless I can glide to an airport or at least a reasonable field or road. Every time you touch it you're taking a small chance of killing the engine. Someone wrote the other day that they switch tanks every 30 minutes, that's not what I would recommend, honestly.